I felt this was a worthwhile business venture to share. 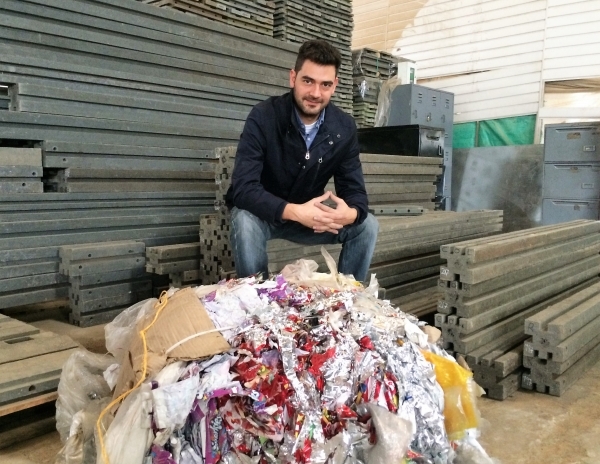 Concepts Plastics, founded by Oscar Andres Mendez Gerardino, is a Colombian enterprise that aims to replace informal settlements with decent housing while reducing waste plastic. Using an industrial process called extrusion, Conceptos Plasticos uses multilayered plastics, mixtures of different plastics and rubber to make quality construction materials. These construction materials are used to build low-cost, safe, durable housing that can be broken down and rebuilt elsewhere, if necessary. They have used more than 300 tons of post-industrial and post-consumer plastics in the process. It takes five days for a team of four to assemble a 40 square meter house. In 2016, Conceptos Plasticos plans to build 240 new homes, benefiting 1,200 people. By 2018 they plan to build 600 a year, housing 3,000 people. I would love to find out more about how we could do this. My wife and look at nepal and think that there is enough plastic to do this.